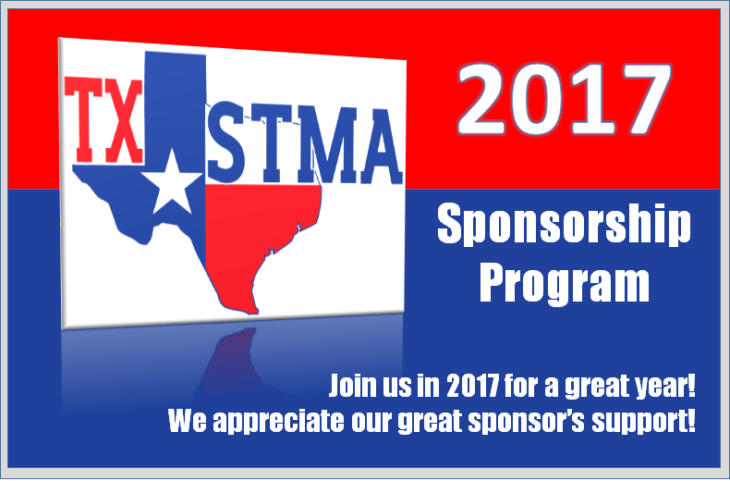 The TXSTMA Board of Directors is very excited to announce the 2017 Advertising and Sponsorship program. We have tweaked the program that we have used for the past two years in an effort to simplify the process and to respond to the feedback we have received from our affiliate members. Our goal is to preserve the advertising and sponsorship opportunities that you have supported and utilized in the past while offering recognition opportunities for our loyal sponsors. Click here to learn more about the program and to sign up your company for these great opportunities! 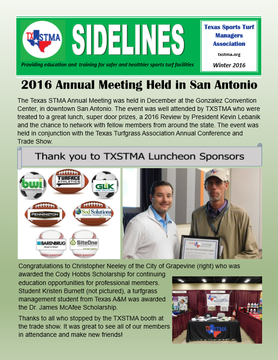 Click here to read the latest TXSTMA Sidelines! 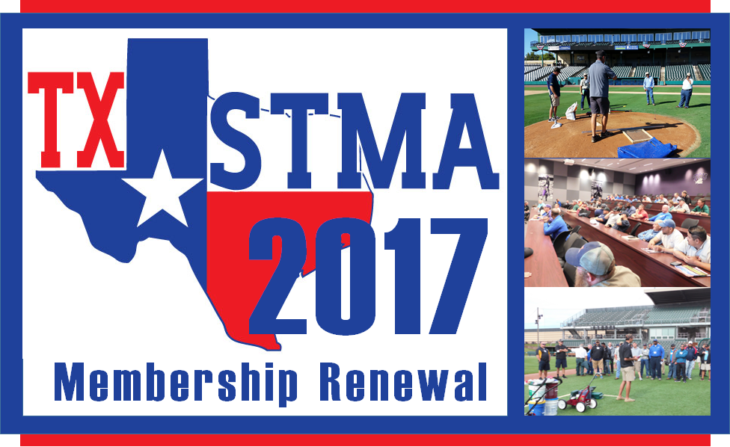 The Texas STMA Annual Meeting was held in December at the Gonzalez Convention Center, in downtown San Antonio. 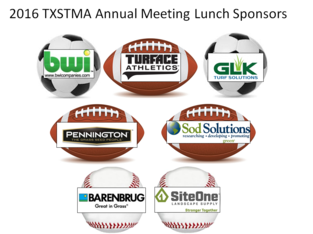 The event was well attended by TXSTMA who were treated to a great lunch, super door prizes, a 2016 Review by President Kevin Lebanik and the chance to network with fellow members from around the state. 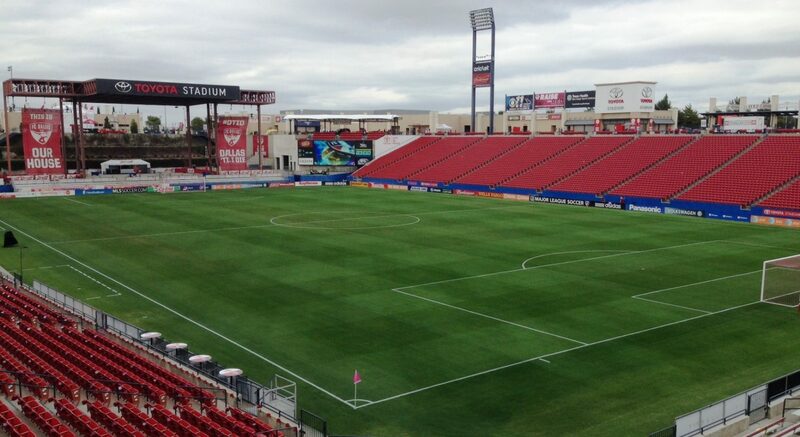 The event was held in conjunction with the Texas Turfgrass Association Annual Conference and Trade Show. Congratulations to Christopher Neeley of the City of Grapevine (right) who was awarded the Cody Hobbs Scholarship for continuing education opportunities for professional members. Student Kristen Burnett (not pictured), a turfgrass management student from Texas A&M was awarded the Dr. James McAfee Scholarship. Thanks to all who stopped by the TXSTMA booth at the trade show. It was great to see all of our members in attendance and make new friends! 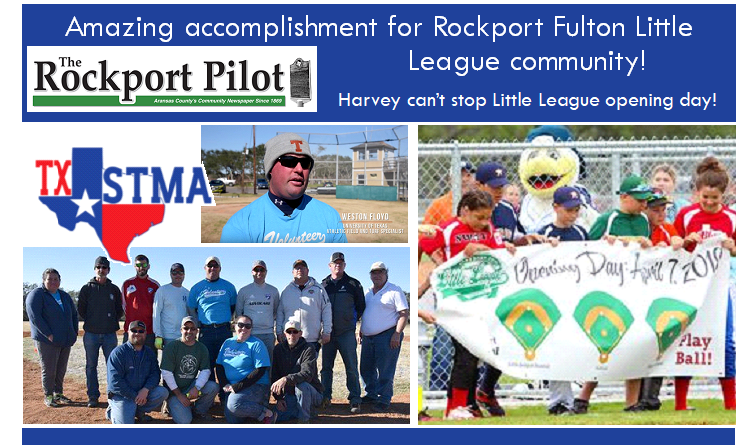 THANKS to our GREAT members and AWESOME Sponsors, your association made great strides in 2016 to improve the programs and services that serve our members. In order to continue this success and momentum in 2017, we need our most important asset – YOU! We value your membership and hope you will renew today! We have tried to make it as painless as possible and all can be done online. Click the button below and you will be directed to an online form. We know you are very busy but it is important that you fill out this form completely so that we have accurate contact information for the online directory, accounting system, and emails. Thank you in advance for your cooperation. CLICK HERE TO RENEW YOUR 2017 MEMBERSHIP! 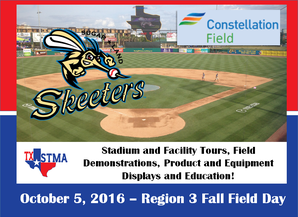 The TXSTMA rolled South in September and visited Constellation Park, home of the Sugar Land Skeeters. Host Brad Detmore provided a terrific venue that included a tour of the stadium and on field demonstrations conducted by many of our great affiliate vendors. The Skeeters only days before were crowned Atlantic League Champions and we joined the celebration! Constellation Park is a beautiful venue and a great place to catch a game. Thanks to all who attended at this special event and special kudos to the crew from the city of Temple who came all the way to Houston! Turnout was great with close to 50 members in attendance! Way to go members! Thanks to Past President Rusty Walker CSFM for pinch hitting for President Kevin Lebanik and conducting the meeting. Attendees arrived early and assembled at the ballpark foyer. TXSTMA meetings are great opportunities to network with your peers and even industry experts. Thanks to Raymond Miller of Dow and Cassie Kearns of Barenbrug gave really useful presentations during the education program. These two are always ready to help out at our events and we appreciate it. On field demonstrations were a big hit during the Field Day on Constellation Field. Thank you Jay Blodgett with PTP, Jeff Kadlec of GLK Solutions, Darin Eberly with Pioneer, Dennis Klene with Texas Sports Sands, and Tom Burns / Mike Estlinbaum of Ewing. Field Demonstrations are great ways for attendees to view the latest products and equipment, ask questions of the experts and share information and techniques. Always the highlight and this event was no exception. WOW!!! What a fantastic day in West Texas. Not only did we have awesome education sessions, equipment demonstrations, lunch, etc. but, great participation form the folks in the West! Thank you Greg Carroll and everyone involved. We can’t wait to head west in 2017! The highlight of the day was the product demonstrations. Everyone had a great time learning about the latest and greatest equipment. As you can see in the photos, many of the guests tried the equipment out for themselves. 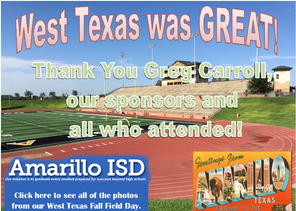 Click here to view photos from our awesome Field Day in Amarillo! Rain in July…and lots of it. 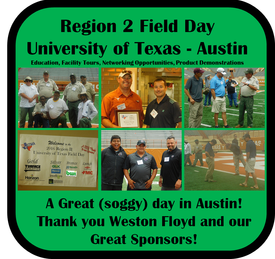 But it didn’t dampen the enthusiasm of the participants of the Region 2 Summer Field Day at the University of Texas in Austin. Weston Floyd called several audibles during the day to make it an enjoyable and productive meeting. A great slate of educational speakers and vendor presentations kept us plenty busy until Mother Nature finally cooperated and allowed a tour of the UT facilities. Maybe a rain check for 2017? When Mother Nature visits with a very rainy day all you can do is go with the flow. We set up check-in under the bleachers…it eventually was soaked with rain. We sent the attendees to Weston Floyd’s shop for a tour and talk. We had to cancel the tour of the baseball and softball fields. AND FINALLY…Mother Nature cooperated. The rain cleared up and we were able to go onto the football field for a tour, pictures, and a little cutting up.